The director, who shot to fame with the viral Kodaikanal Won’t music video, makes his foray onto the big screen. Filmmaker Rathindran R Prasad, who shot to fame directing Kodaikanal Won’t — the viral music video that created a huge stir — is now all set to make his debut in tinsel town! Titled Idhu Vedalam Sollum Kadhai, his debut feature is touted to be a travel adventure-thriller based on Indian mythological characters. Last year, Kodaikanal Won’t starring Chennai rapper Sofia Ashraf, was an absolute rage on social media as millions of people worldwide viewed and shared the video. Reportedly, more than 1,50,000 people from over 190 countries — including Hollywood, Bollywood and K’town celebrities like Niki Minaj, Ashton Kutcher, Mark Ruffalo, Guy Kawasaki, Shekhar Kapur, Nandita Das, Rohini and Bobby Simhaa — supported and endorsed the cause the video stood for. Another short film by Rathindran, a 30-minute socio-thriller called Swayer Corporations, was selected and screened at the Cannes Festival. “I have always been lured by Tamil folklore or what you call ‘Paati Sollum Kadhaigal’ (Grandma Tales). Idhu Vedalam Sollum Kadhai has a bit of fantasy element as well, apart from being a road action thriller. Hence, the movie will be an exciting combination of ‘grandma tales’ and modern technology!” Prasad tells DC. The director has roped in actors Ashwin Kakamanu and Guru Somasundaram of Aaranya Kaandam fame to play the lead roles. Britain-born wrestler and Hollywood stunt choreographer Greg Burridge, who has worked in films like Harry Potter and London Has Fallen is making his foray as the antagonist, besides choreographing the action sequences. 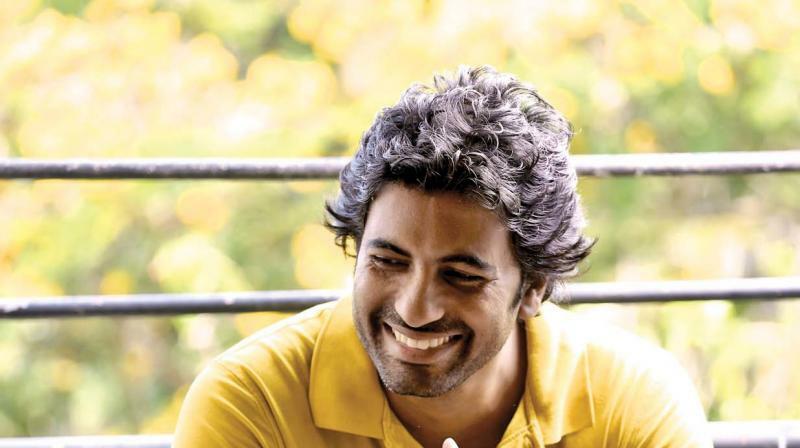 “I needed a cool urban guy with a yuppie look and Ashwin fit the role. Guru plays a 65-year-old watchman, and I am also introducing Agneeshwar, who essays the role of a North Madras kickboxing coach,” he reveals. When we query about the heroine, Rathindran says, “The script does not require a typical heroine, as there are no song and dance routines. But there is a leading lady and I am looking for a homely girl who is well versed in Tamil. We are yet to finalise it. There are two more female characters who play underlings of the villain, and have been roped in from Mumbai.” He also adds that the entire story unfolds within the time frame of a day and one night. The first schedule starts in Chambal Valley in Madhya Pradesh, travels to Gwalior, Rajasthan, and later shifts to Chennai. Burridge will start training Ashwin along with 30 local Indian wrestlers for the action sequences. On opting for Italian cinematographer Roberto Zazzara for the movie, Prasad says, “Idhu Vedalam…is based on landscapes, and Zazzara is famous for capturing the essence of the scene at its natural best. Also, being a foreign photographer, he will explore our country with a different perspective.” Ghibran has already started composing the musical tracks.